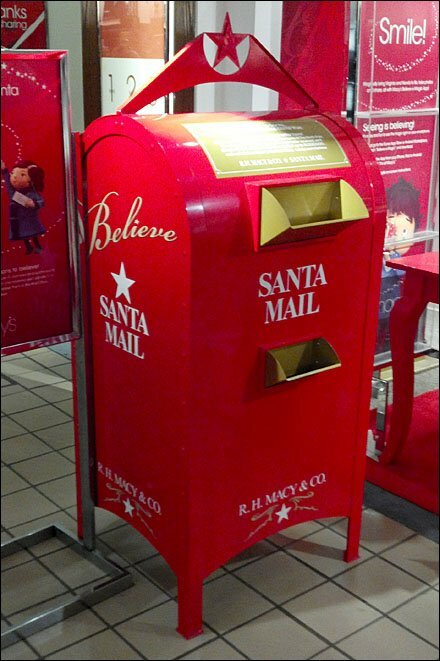 Though the United States Postal service may be experiencing financial distress, Santa’s mail system is supported by kind-hearted retailers and this Santa Mailbox In Store. Here you can post a letter to Santa filled with holiday wishes right in center store. The box color and over-arching star give a clue as to its backers (as does the footnote at the base of the mailbox). This and more were in place a week before “Black Friday.” This chain certainly has Christmas Spirit. 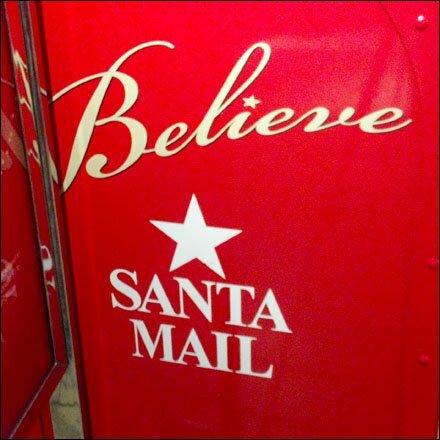 CLICK the thumbnail for a closeup of the “Believe in Santa Mail” theme. “Postal and Office Services Pinterest Board” for a visual summary.